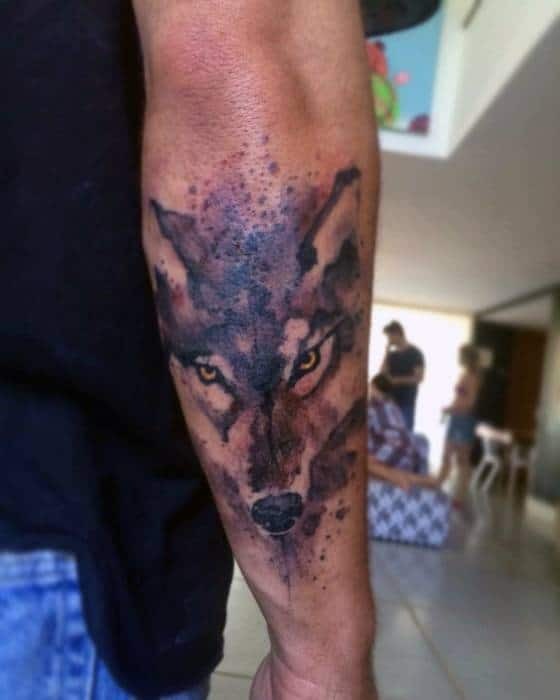 The wolf has frightened and fascinated human civilizations since the dawn of time, and no creature is perhaps more misunderstood than the mysterious lupine. 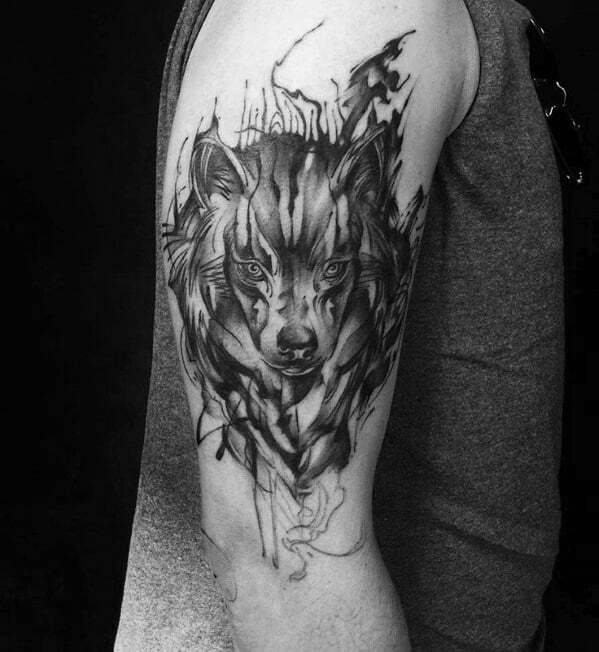 Cultures from around the world have attached various meanings to the wolf, with alternating centuries finding it both hunted and revered. 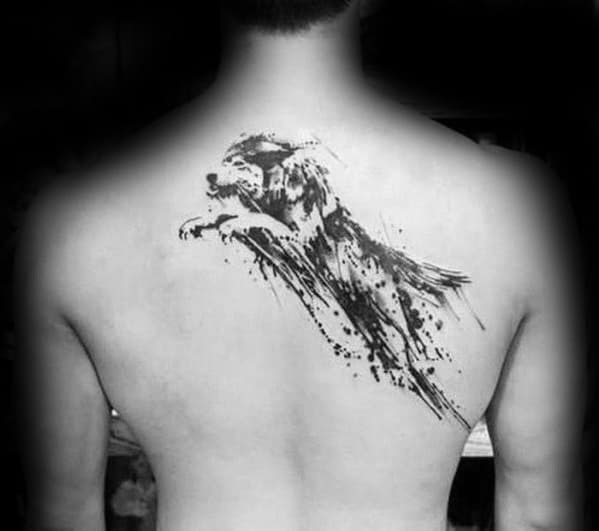 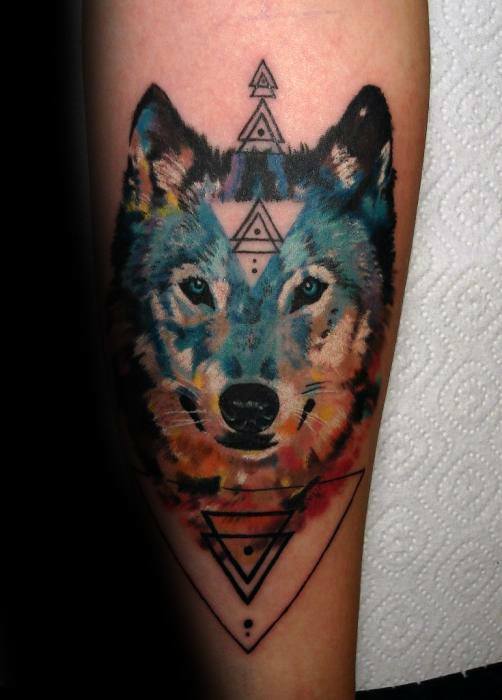 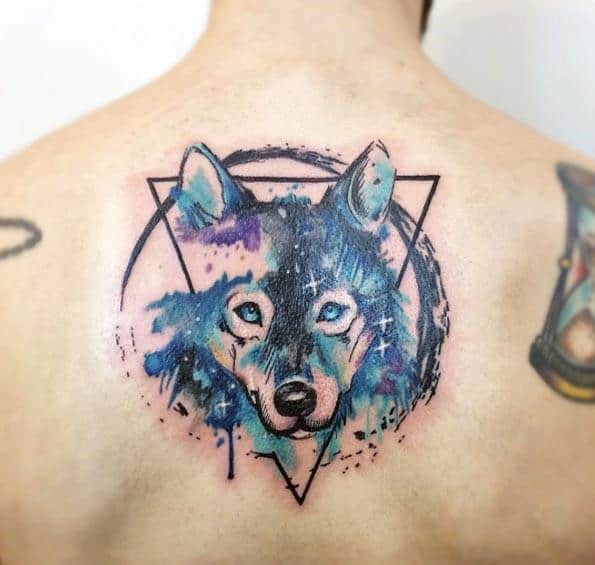 The wolf is a symbol of loyalty, ancestral rituals, and protection, as well as a representation of solitude and lessons that must be learned while going it alone. 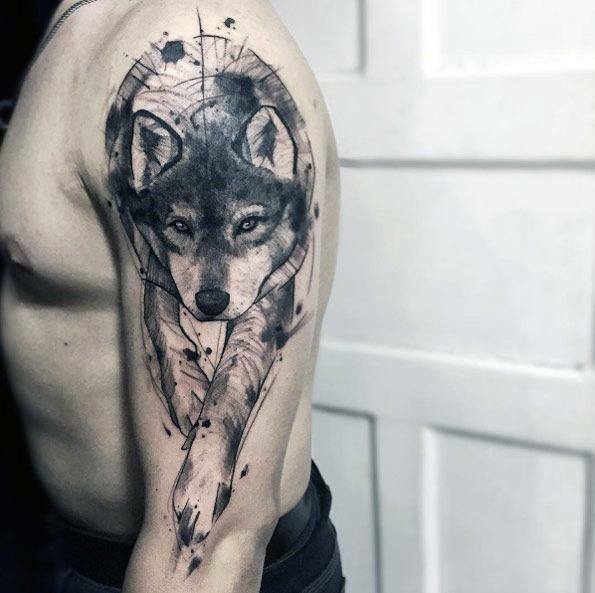 The Native Americans believed that those for whom the wolf was a spirit animal must learn to balance their wilder animal instincts with human self-control, and take on the role of a leader, however reluctantly. 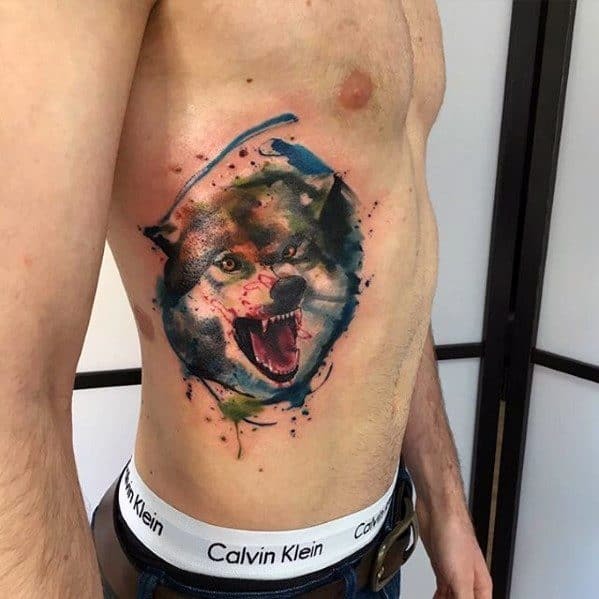 Perhaps this strikes a familiar chord? 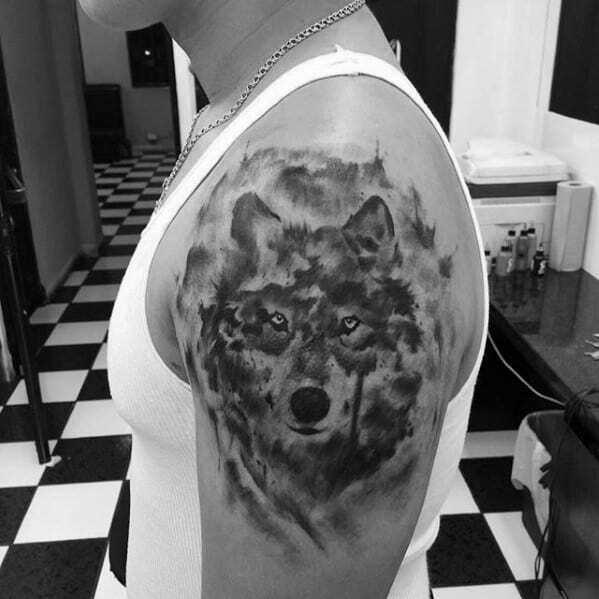 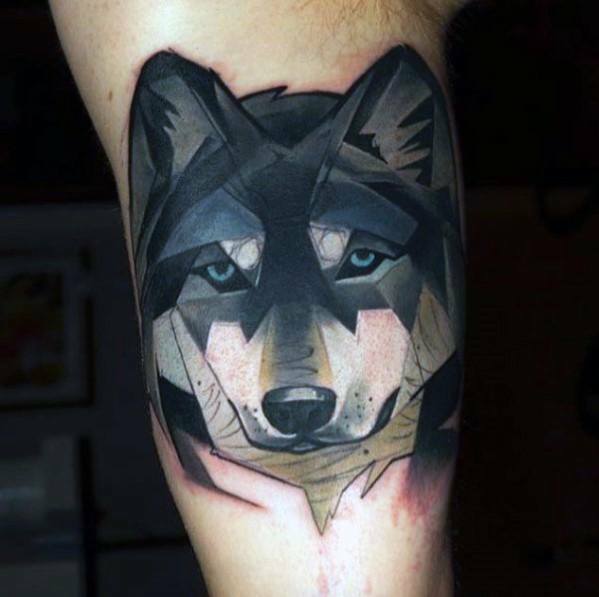 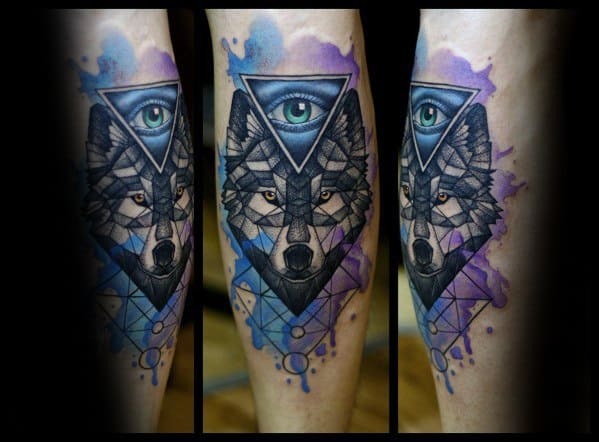 Wolf tattoos, much like the species, come in all shapes and sizes, from traditional renderings to intricate graphic depictions. 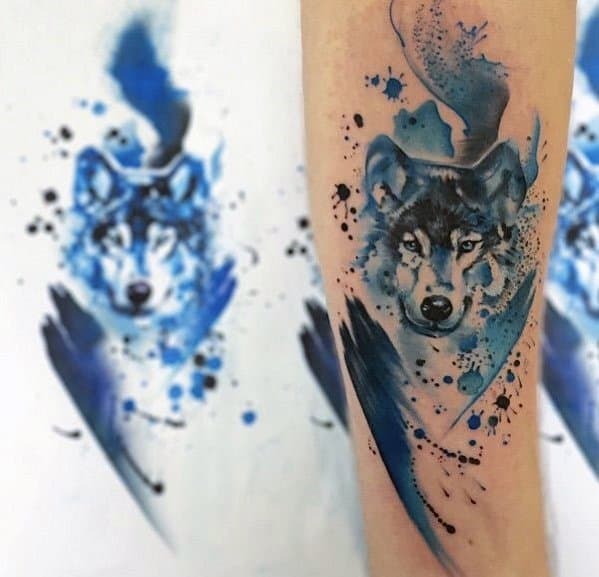 A new wave of design finds the wolf in watercolor form, using the same shading and brushstroke techniques as watercolor masters. 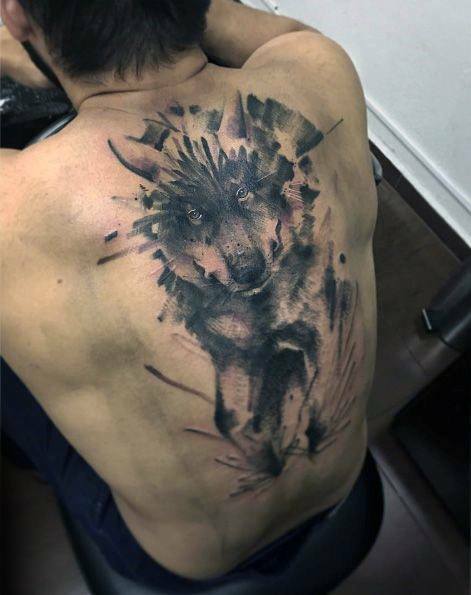 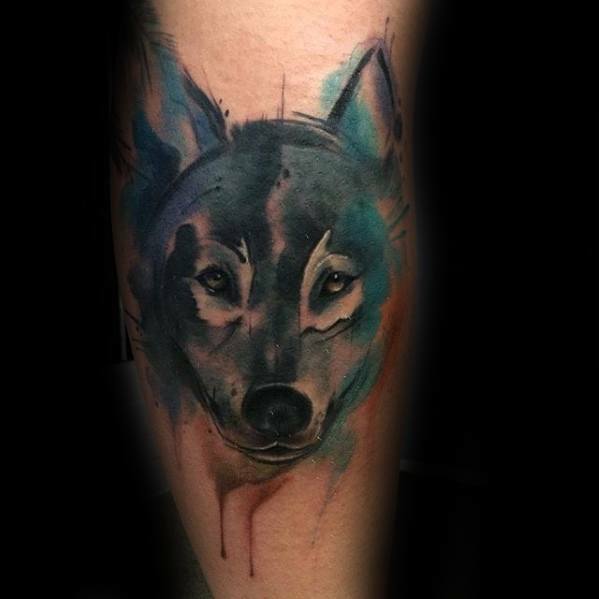 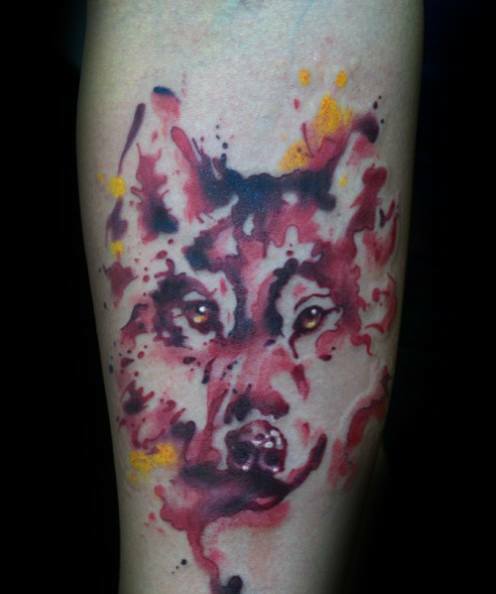 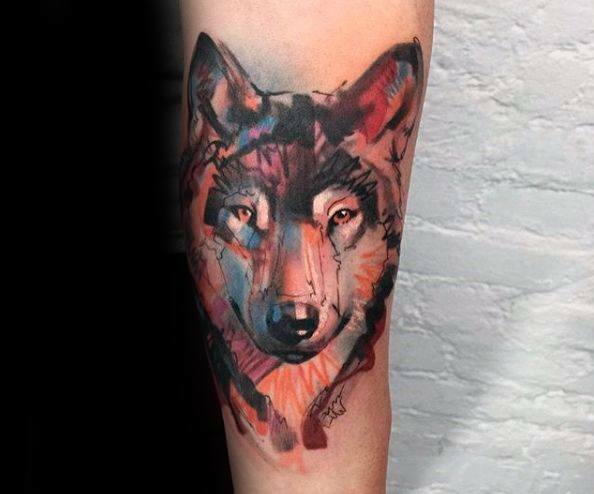 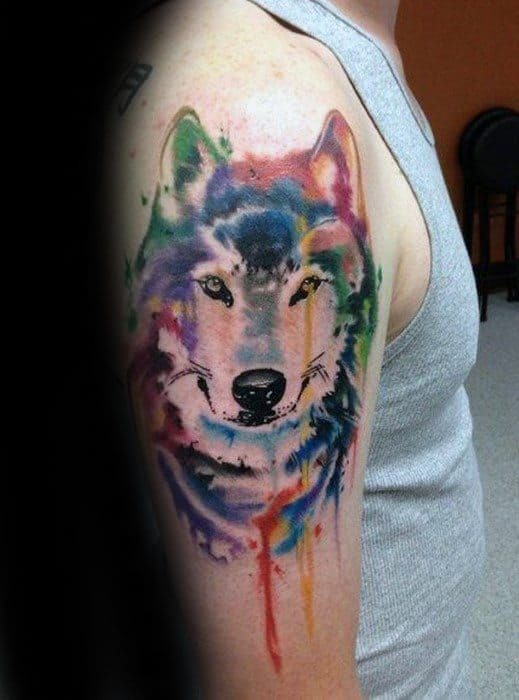 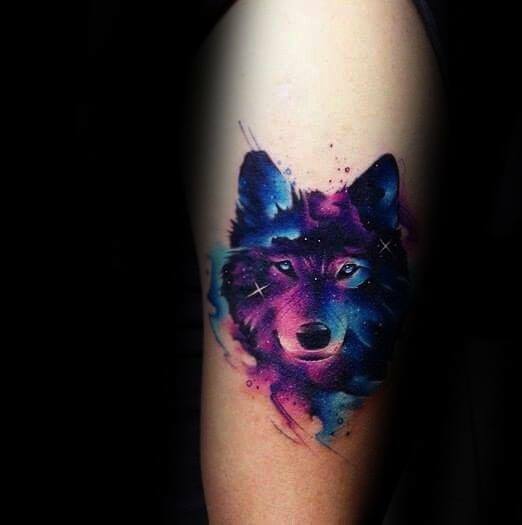 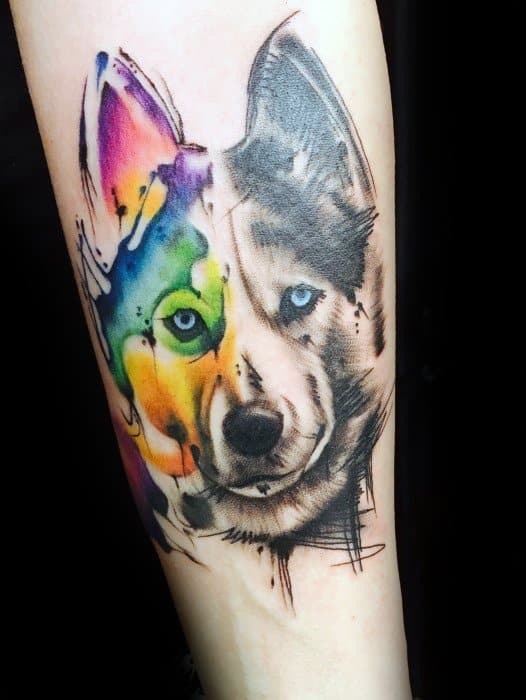 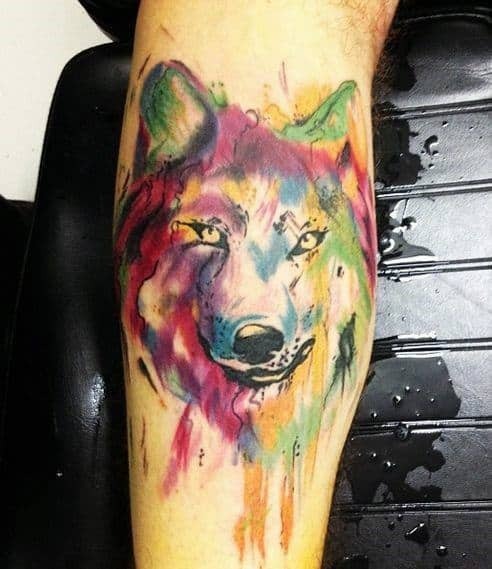 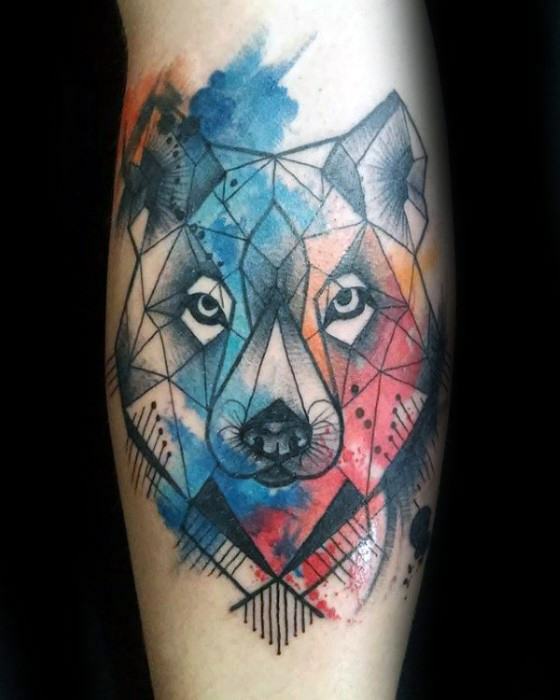 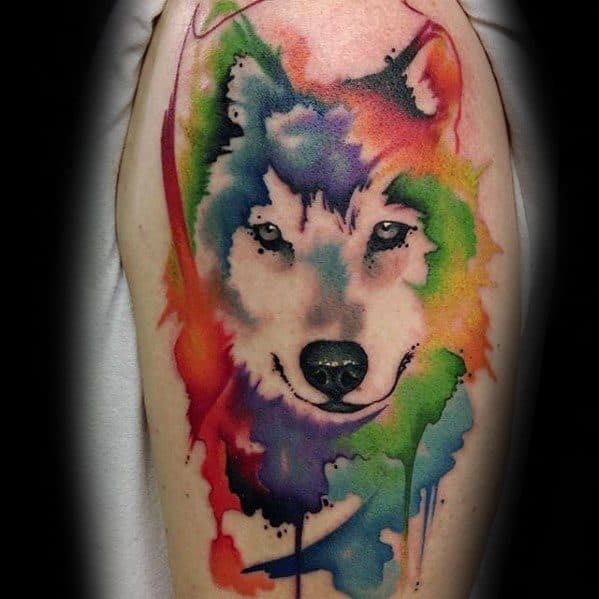 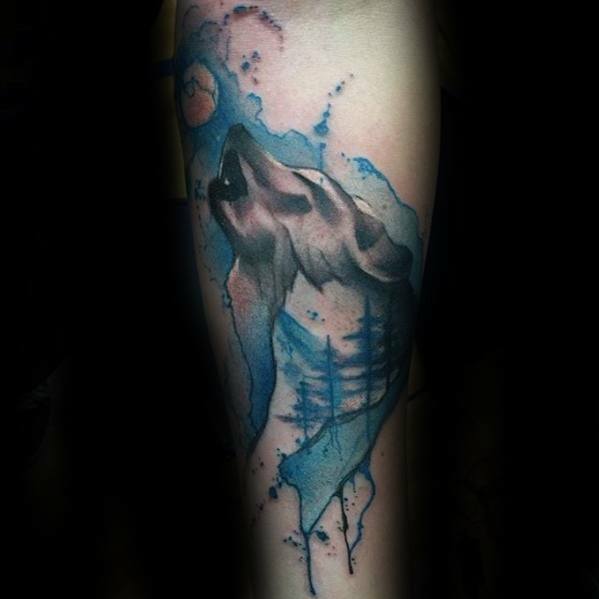 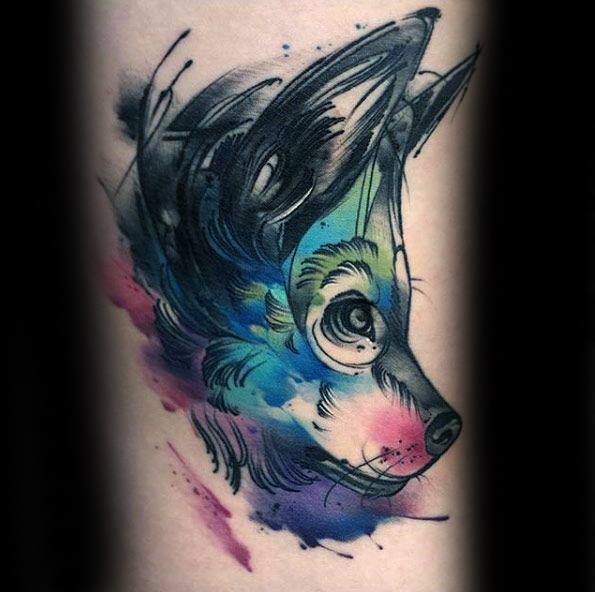 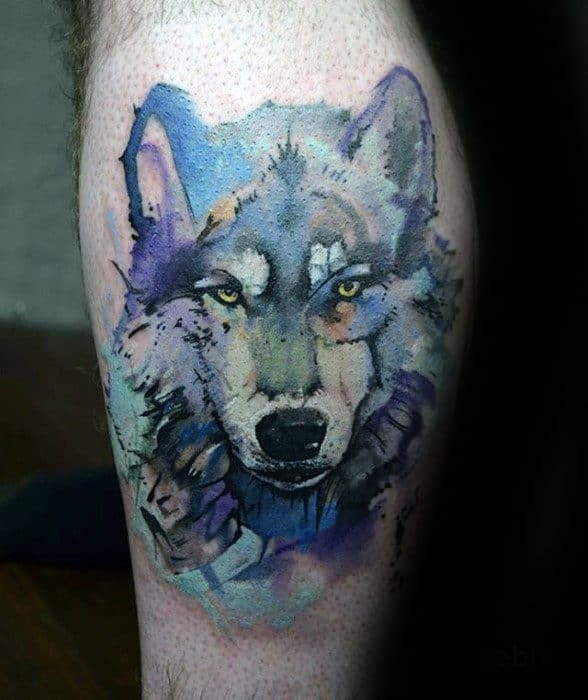 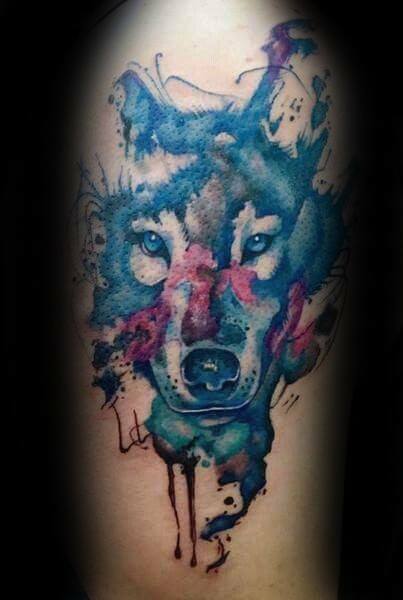 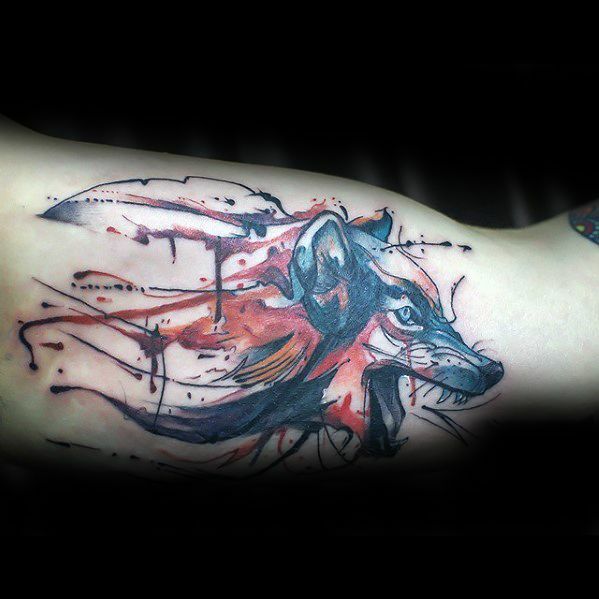 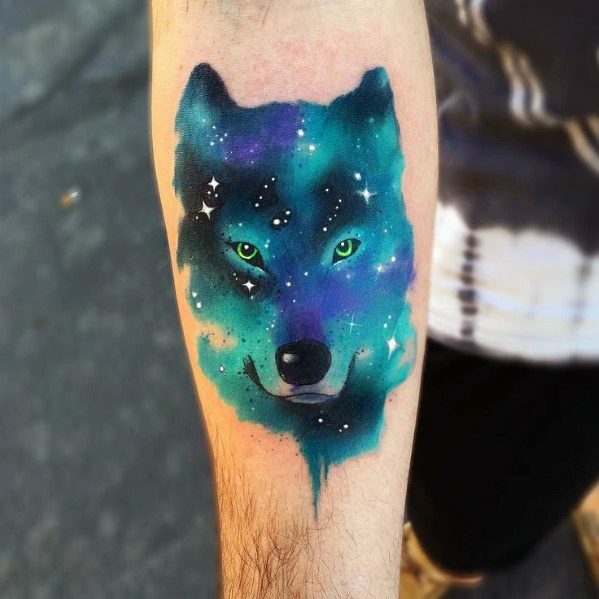 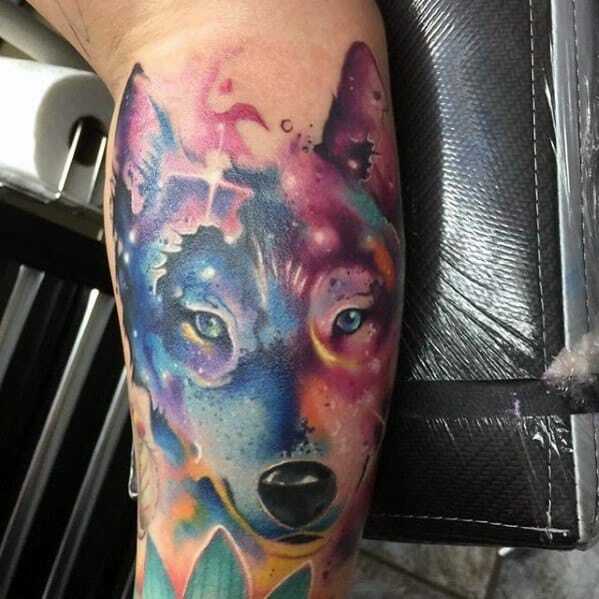 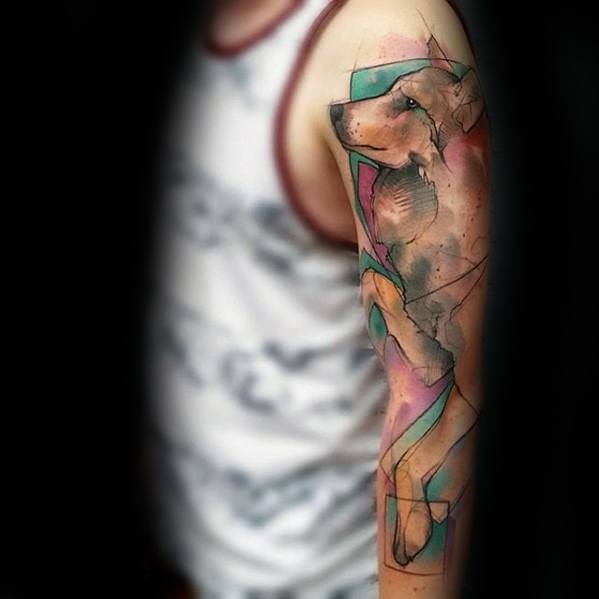 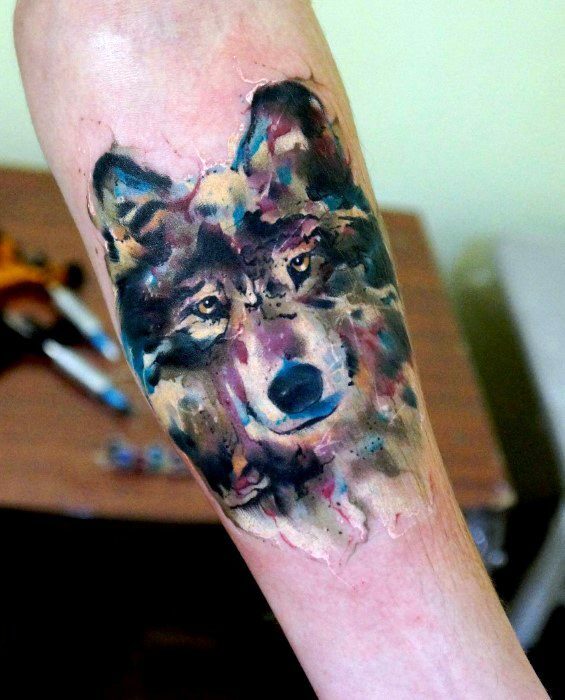 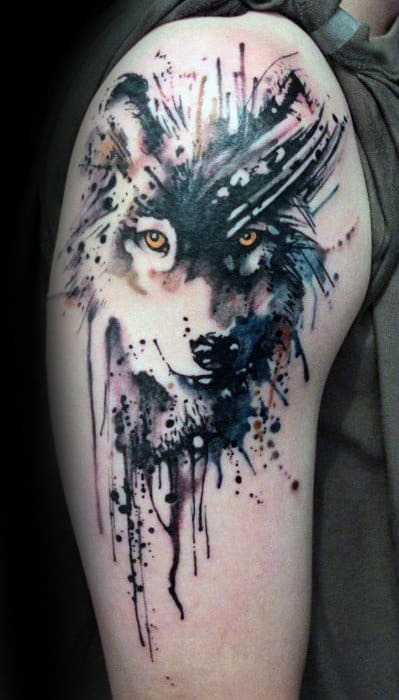 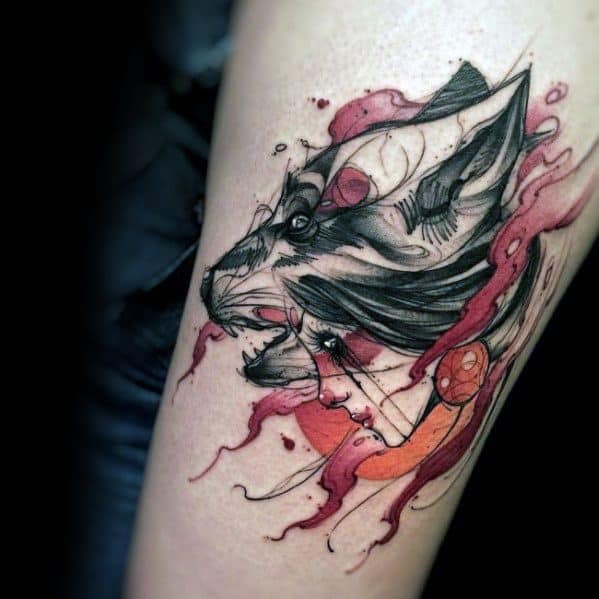 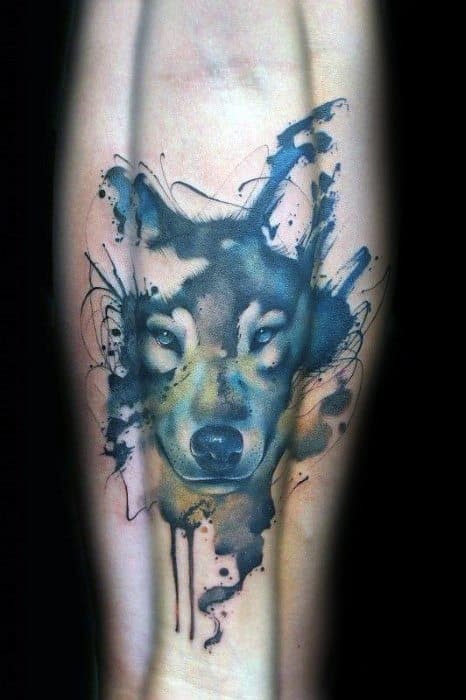 Unlike its more classic tattoo characteristics, the watercolor wolf possesses distinctly ethereal qualities, that are more spirit than flesh and fur. 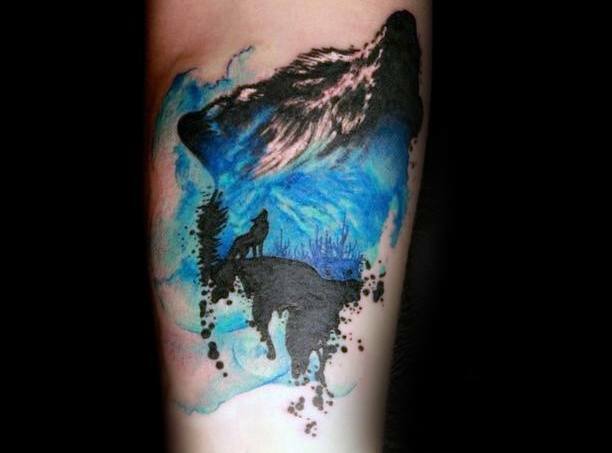 With rich colors that all but drip down the arm, shoulder, or calf, and a notably serene demeanor, the watercolor wolf is both a protective totem and otherworldly work of art. 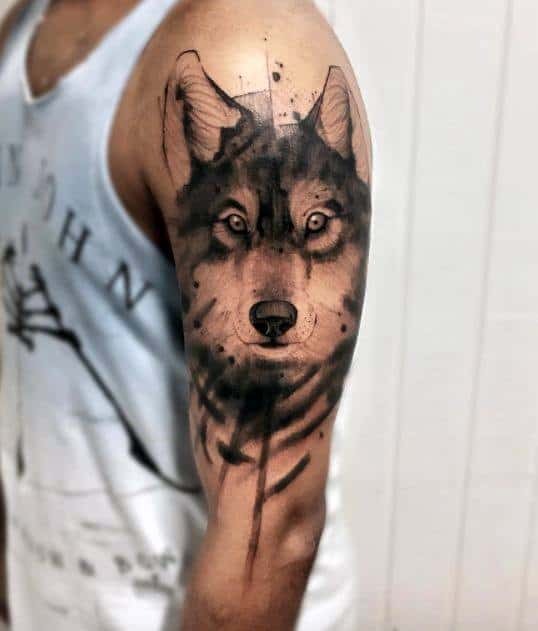 Just as the wolf teaches us the value of loyalty and leadership, it also encourages us to remain true to our inherent nature, and seek solitude instead of shallow companionship. 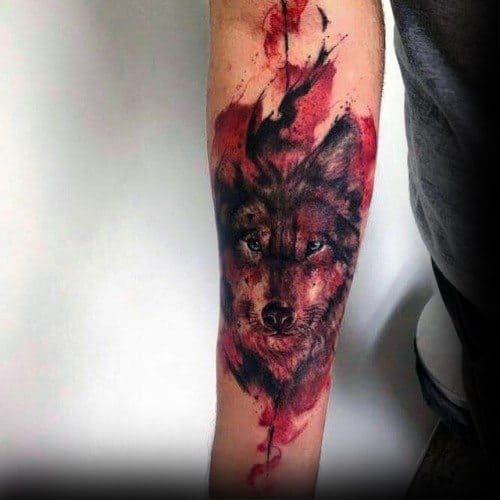 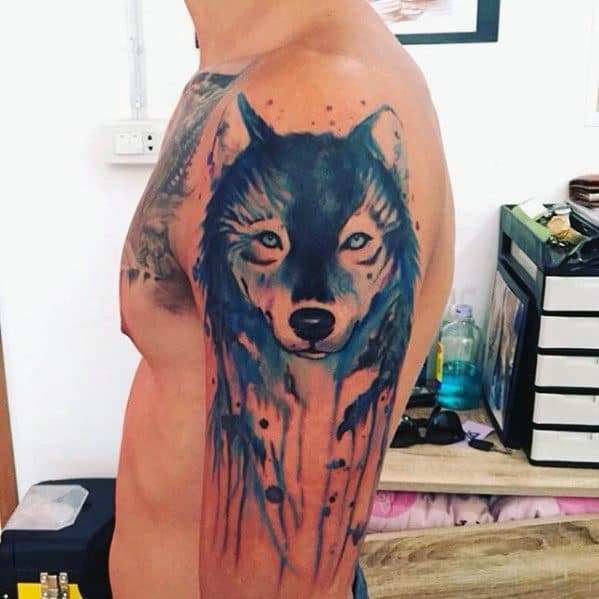 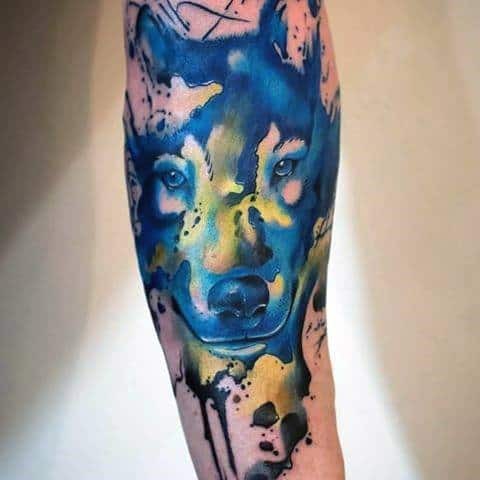 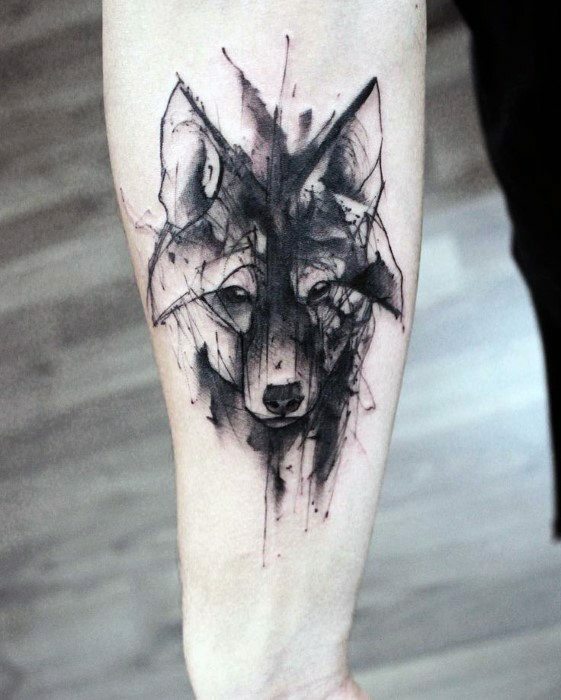 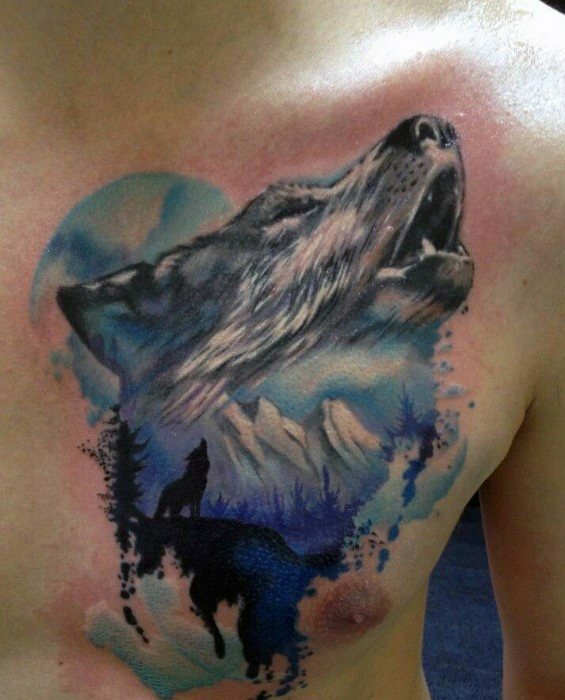 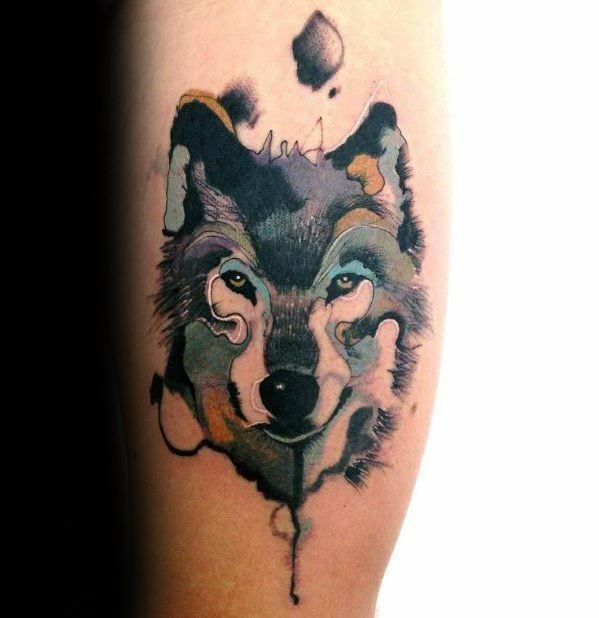 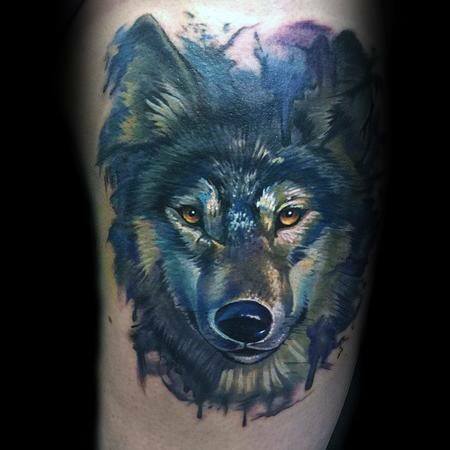 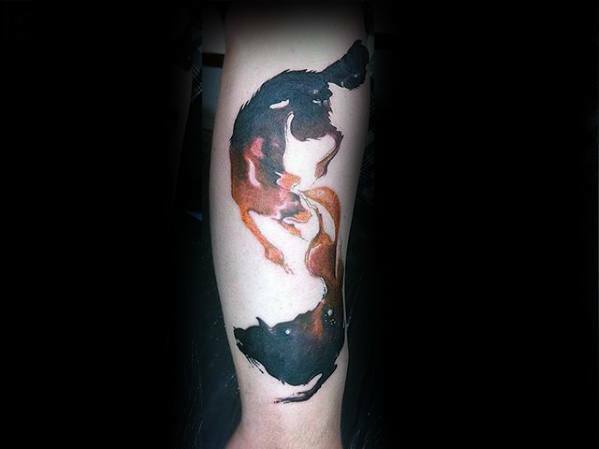 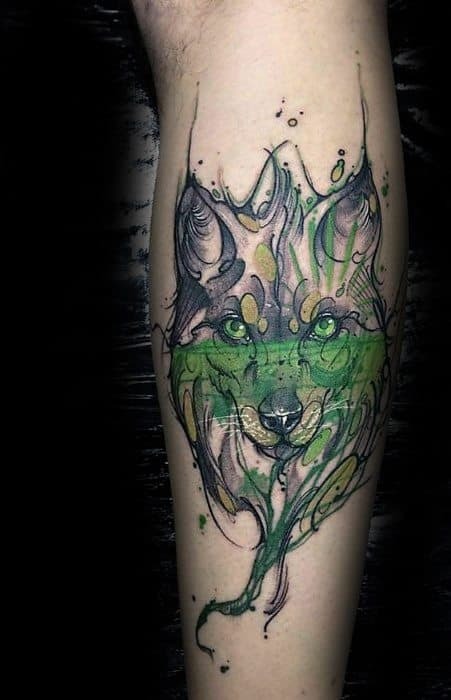 This is a tattoo for the man who sees beyond the cheap commercial appeal of the typical wolf, eschewing fear and false male posturing to honor a creature on the brink of extinction–and all the more precious because of it.